This oil seems good enough but I find the smell overwhelming. I never thought I'd leave a review focusing on a product's scent as it's very much subjective but it's just so strong and granny-like I haven't been able to use much of it... I recommend investigating in person before buying. Sticky!! Its annoying how it says its un-oily. Its quiet oily and sticky, sticks on my clothes and irritating me, thats my only complain about it. Smells good. I like layering the tummy rub butter over it. 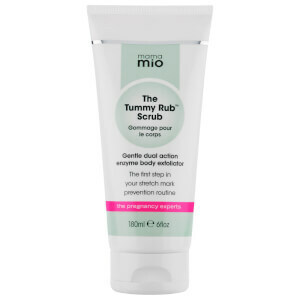 I used this tummy rub oil along with the tummy rub butter throughout my pregnancy. I was apprehensive as I am prone to stretch marks , I already have a few fine ones on my hips and thighs from my teenage years. I wanted to give it a go as I read the reviews and totally feared nasty stretch marks. I can honestly say my baby is now one month old and I don’t have one stretch mark. I can not recommend this stuff enough! I am 36 weeks pregnant and have been using this oil since I was 13 weeks pregnant. This makes my skin look and feel amazing, I don't have any stretch marks yet! This is an amazing product. I just started to use it, but already in love with this. I think I could use it even if I wouldn`t be pregnant. The smell is kind of refreshing I would say and it absorbs also very good so no trace on clothing from it. I just would like to add that usually, I don`t like oils and oily creams, just this time I took a risk and gave it a try as my skin will need a lot of moisturizing during pregnancy and I`m not disappointed at all. Product smells really nice and a little goes a long way, spreads easily and is not greasy, leaves your skin feeling smooth and very soft. I usually use this at night combined with the Body Butter in the morning. Not sure how well it will prevent stretch marks as I am currently only 21 weeks pregnant only time will tell. The products are so good as described. It's a nice shipping experience.